You’ll need more than braggadocio to compete with such a man. You’ll need to summon up logic and reason—along with some courage and testosterone. 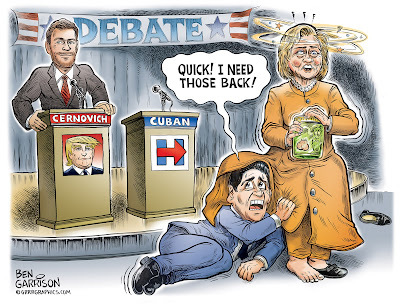 Stop hiding under Hillary’s Mao coat, Mr. Cuban. Get out on the court of real debate.